Shay Roddy has been covering Philly sports since 2008. He started a CBS Sports affiliate site, Bleacher Report, as an original Featured Columnist. During his time at Bleacher Report he made various contributions to local TV and radio programs. Currently, Roddy serves as Managing Editor of High Hopes, and as a writer for Demand Media, a Santa Barbara, CA based media juggernaut. Roddy’s articles are frequently published on LIVESTRONG.com as well as eHow and Answerbag. Send e-mail to sroddy@highhopesblog.com. Follow on Twitter — @shayrod! Phil Andrews has spent most of his 25-year career in sports media on television, but has now decided to take on the task of writing. A graduate of the University of New Hampshire, Phil spent four years years working in the New England are before moving to Philadelphia in 1990 to begin a 15-year tenure at WPVI 6ABC’s “Action News”, covering sports with the likes of Gary Papa, Scott Palmer, and Tug McGraw. 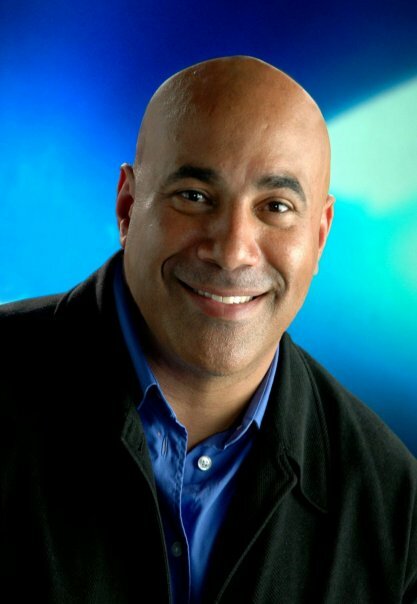 After leaving Channel 6, Phil went to Comcast SportsNet Philadelphia for three years where he worked as an anchor and reporter for all of their sports news programs. Throughout his career, Phil has covered Super Bowls, NBA Finals, Stanley Cup Finals, World Series, College Bowl Games, Nascar, NCAA Basketball Tournaments and several major golf and tennis championships. Phil lives just outside of Philadelphia with his family. E-mail him at pandrews@highhopesblog.com. Follow on Twitter — @philandrewstv! Homer Plate has become a name synonymous with hilarious, off the beaten path Philly sports columns. After graduating with honors and a B.A. in Communications from Temple University, Homer started his career in Los Angeles as one of the leading freelance contributors to the nationally distributed board game ZOBMONDO! Upon returning from LA, Homer entered the position of Vice President of Marketing for a local sports marketing firm. Among his accomplishments was the creation of the Willie Stargell All Star Golf Classic which coincided with the All Star Game in Philadelphia in 1996. Homer has also written and directed an original TV pilot and was a humor writer for Pennsylvania Golfer for two years. He brings his sense of humor and creative writing skill and allows it to mesh with his love and knowledge of Philly sports in several weekly columns titled “Out of Left Field.” He has already become a sensation in the Philly media scene. 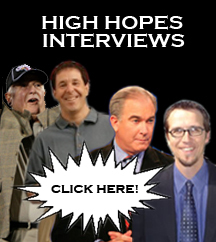 E-mail homerplate@highhopesblog.com with your love, jokes, tips and praise. Send hate mail to Michael Vick or Howard Eskin. They’ll gladly accept it on his behalf. Follow on Twitter — @homerplate! Matthew’s writing and broadcasting career spans about seven years. 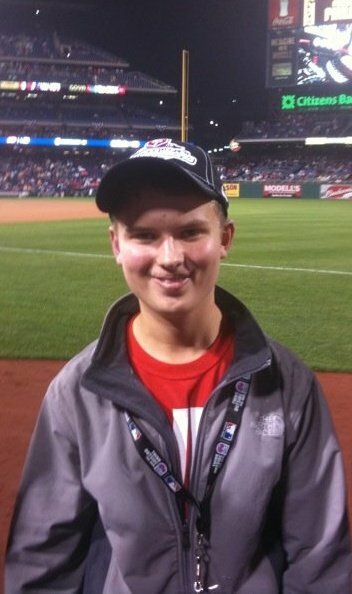 While attending Temple University, Matthew was a leading contributor to their television and print sports news departments. In 2008, Matthew began a job as a columnist for Baseball-Reference.com, a widely respected source for player statistics, informative news and stories. Nadu has also made stops at Comcast SportsNet Philadelphia and NBC10 WCAU, contributing to their various news programs. You will frequently see his byline on NBCPhiladelphia.com. He currently works as an actor and lives in Center City Philadelphia. Contact him at matthew.nadu@yahoo.com. Follow on Twitter — @matthewnadu! Mike has been in sports radio for about two years, but this is his first trek into writing. Aside from his columns for High Hopes, Mike is the host of The Second Shift, a sports talk show on 1490 WBCB. Mike has also worked at 950 ESPN/97.5 The Fanatic. Mike is always opinionated and never shy about what he thinks. Contact him at msamsel@highhopesblog.com or Follow on Twitter — @mikesamsel! Jay Boehmer, a native Philadelphian and lifelong hockey fan is in his second season of covering the Flyers for High Hopes. 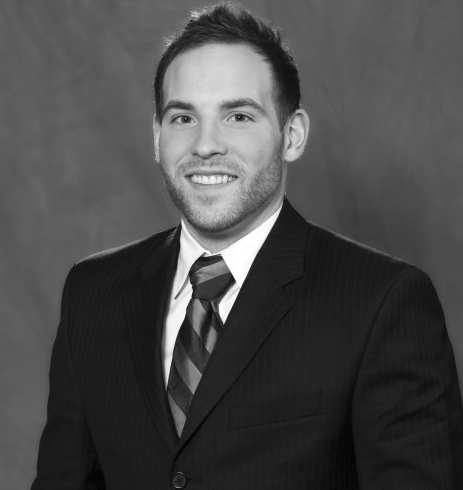 Boehmer is working on a degree in Communications from The University of Pittsburgh. Boehmer’s work has been published on sites such as helium.com. Send e-mail to jboehmer@highhopesblog.com. Follow on Twitter — @jboehmer17! Stephen Wildman, a 2004 graduate of Penn State, is in his second season covering the Phillies for High Hopes. Wildman’s recaps cover more than just the game, taking a deeper look at what key players or plays served as the Phils turning point. His columns have been received warmly and he is continuing to make High Hopes a staple in Phillies media, as it was when it was established as an all-Phils site close to two years ago. Send e-mail to swildman@highhopesblog.com. Wesley Kaminsky comes to High Hopes as an accomplished NBA and NFL columnist. 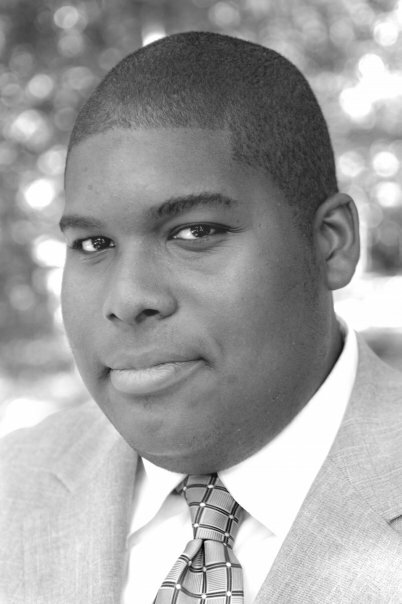 Wesley spent a year working for Bleacher Report where he was an award-winning correspondent. Wesley, a Philadelphia native, is excited to bring his weekly NFL Power Rankings and picks to High Hopes. Send e-mail to wkaminsky@highhopesblog.com. 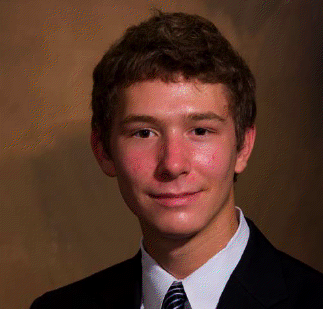 Follow on Twitter — @wesley_kaminsky! Timothy, a graduate of Temple University, is in his first season covering the Sixers for High Hopes. Before coming to High Hopes, Timothy was a contributor at NBCPhiladelphia.com. He has also made several contributions to their various news programs. His broadcasting career includes stops at ESPNU where he served as a sideline reporter and WIP SportsRadio here in Philadelphia. Send e-mail to tparker@highhopesblog.com. Follow on Twitter — @sportstim! Jeffrey, called ‘Eagle Jeff’ by his friends because of his unwavering loyalty to the Eagles, graduated with a degree in Sports Broadcasting from the Broadcasting Institute of Maryland, in Baltimore. Along with his Eagles beat duties at High Hopes, he covers the team for Sportsradio 1470-AM in Allentown and is the associate producer for their weekday afternoon program “After Further Review”. 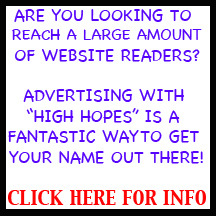 Send e-mail to jwarner@highhopesblog.com. Follow on Twitter — @eaglejeff91! Mike graduated from Penn State University in 2010 with a degree in English. A Philadelphia-area native and lifelong sports fan, Mike began writing about basketball in college. At High Hopes, he will dedicate his time to covering the Sixers as a beat writer. Send e-mail to mcuster@highhopesblog.com. Graphic Designer — Asher Lethbridge-Simon — alethbridgesimon@highhopesblog.com. Shay Shay Shay what are we going to do with you !!!?????!!! Making your own website? I can’t believe it you have to go to a IT school for college I suggest MIT ! SHAY RODDY YOU ARE LIKE THE MALE VERSION OF HANNAH MONTANA. EXCEPT WITH SPORTS. DOUBLE LIFE!! though this site can’t compare to the fightins or beerleaguer, it’s my third stop. mike, agree. love this site! Shay Roddy is God among the baseball world. That is all. holy crap you have a website? If I wasn’t here, this site would go right down the toidy with Rockin Roddy in it! My friend told me about your site, so I thought I’d check it out. Very interesting material, will be back for more! Go back to all Phils coverage. At least lose the Sixers coverage…do we really need Sixers coverage? the NBA is a bunch of punk thugs and their fans and writers are all Obama-nation lovin’, handout seeking, socialist communist sympathizers who can’t run their own lives let alone a pro sports league. They’ve run the NBA into the ground and they are doing the same to our country. Don’t let it happen here too! Hahaha. Rushman, you are the man! You’ve got a seat at the Sunnergren table any time you want it. All the tea you can drink. Thanks t.s., but I’m no tea drinker. Besides…I think you meant kool-aid, not tea. I’m sure that’s the drink of choice in the NBA these days.